Russell is amazing. Makes buying a car a truly enjoyable experience. Found me the car I wanted and the financing o needed. Russell is amazing. Thank you for visiting INFINITI of Modesto. Our knowledgeable and experienced staff is committed to your satisfaction and we strive to exceed your expectations. We are a greater INFINITI of Modesto dealer with inventory and pricing that will get you into your dream car today. Schedule a test drive by contacting our friendly sales staff at (209) 225-2705 or come see us in person. We are conveniently located near Modesto, Merced, Turlock, and Tracy. 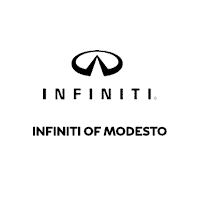 INFINITI of Modesto is conveniently located at 4130 McHenry Ave. We are excited to provide our customers with an impressive range of new and certified pre-owned INFINITI vehicles. Turn heads everywhere with the stunning Q60 Convertible. For those who looking for an SUV, we have the excellent QX80 or the QX70. Check out the new QX50 if you would like something sporty and bold. We also have an amazing inventory of luxury sedans. Visit us today to experience how easy and pleasurable the process of buying or leasing a vehicle can be.